IT SEEMS the thunder really can't be silenced, with a new powerboat racing event set to replace Bundy Thunder in November. 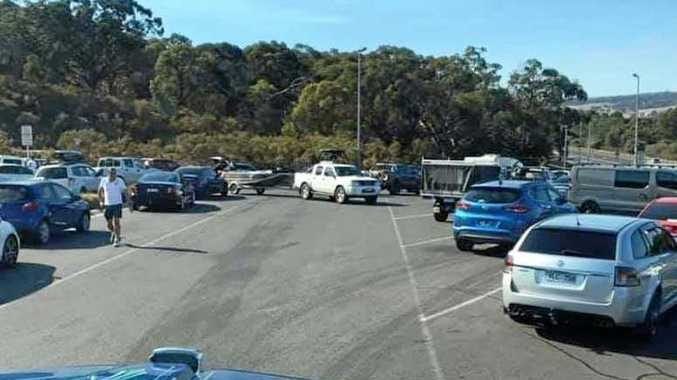 Event spokeswoman Sue-Ellen Pitt said members of the community had been working tirelessly to make sure powerboat racing didn't leave town for good when Bundy Thunder was cancelled in April due to lack of community support. "I think there are a lot of people all over Australia that will be pleased," Ms Pitt said. "The feeling was that if we lost it this year then we might lose it forever so everyone rallied to resurrect the event." The event will no longer be known as Bundy Thunder and will instead become part of the Australian Formula Powerboat Series. 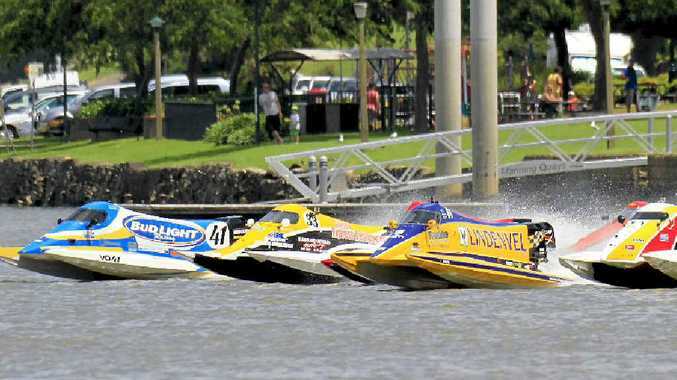 The Bundaberg event will become round one of the five-part series and the only one to be held in Queensland. Ms Pitt said the races would feature up to 15 laps of a designated course, instead of the three laps traditionally raced in Bundy Thunder. "It means more action on the water for longer," she said. Ms Pitt said the sentimental major trophy races of the Iron Nuts Shield and the Trojan Cup would be incorporated into the program. Ms Pitt conceded the event was not likely to be as big as Bundy Thunder was, given this year would be the first year under the new format. "We're in a rebuilding stage now," she said. "But at least we've got the event and it's something to grow on for the future." Ms Pitt said the important thing now was for the community to rally around the event to ensure its success. "We've had support from places like the Chamber of Commerce, the Sugarland Tavern and SSS Strawberries," she said. "We've had a lot of smaller individual businesses get on board too." Ms Pitt said help was needed in all forms. "We will need people, money and in-kind support. If anyone thinks they can do something to help in any way, they should get in touch with us."